It was one Saturday morning, Sophie, a blogger friend invited my husband Abet to join them for a tour at the Yakult facility in Laguna. Since hubby could not attend, I was given my first ever assignment to do a feature for The Food Alphabet. What a challenge for me... even though I do know that my blogger friends will guide me through the day, so here we go. Armed with a point and shoot camera, we were met by Sophie's sister at Shangri-La mall en route to the Yakult factory in Laguna. Never in my life would I imagine myself being there so after a short ride, we finally arrived and we were toured within the facility. It was quite a discovery how Yakult, a small bottle of cultured milk can bring about so many benefits to kids and adults alike. We toured through the conveyer facilities where thousands and thousands of Yakult are being sorted and packed before getting delivered to you favorite supermarkets, sari-sari stores and who can forget your friendly neighborhood Yakult trolley ladies - the Yakult lady system which has been around for the longest time. if Abet is to see this what a joy indeed for him, he loves his Yakult! product is what you see in your supermarket shelves. Yakult which was invented in Japan, also developed many types of healthy drinks as well such as milk drinks, probiotic drinks, yogurts and beauty cleansing healthy products through the years specially catering to the Japanese market. A survey in Japan revealed that more than 98% of its consumers associate Yakult's container form to the brand, the form of the container has not changed since 1968. The Yakult products sold overseas also carry the same shape and has been registered as three dimensional trademark in Japan as well as United States, Europe and recently, the Philippines. Yakult is also proven to prevent Infantile acute diarrhea, due to its key ingredient, Lactobacillus casei strain Shirota. Yakult embraces Dr. Minoru Shirota's advocacy of "preventive medicine" and a "healthy intestinal track leads to a long life." 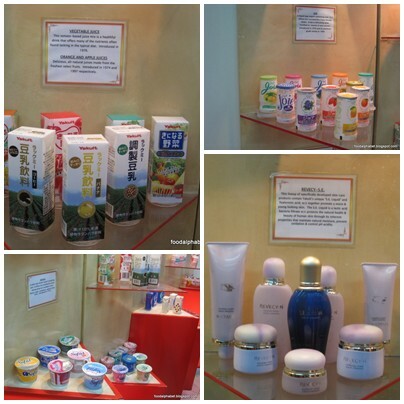 It was so much fun and indeed a world of wonder to be able to visit Yakult Philippines. Thank you for inviting us over. A trivia for you, do you know that Yakult Philippines produces 1,600,000 bottles of Yakult a day, and soon more as indeed healthy conscious people are drinking Yakult more. As I end my day of visit at Yakult Philippines, I can't help thinking how Abet would have loved to come here, and his question as always is can I get a bigger bottle of Yakult? Yakult is always on the top of our grocery list and that will never change for all time. Live healthy, drink Yakult everyday and as the tagline goes "OK ka ba tiyan?" YUMMY EATS is here!! - Congrats to the winners of the invites!! Talks, Demos, and a Cook-off! Featuring Gasul Kitchen Safety Tips, McCormick Cooking Demo, Hunt's Cooking Demo, Hunt's Culinary School Cook-Off, Sarangani Bangus Cooking Demo and Yummy Food Business Ideas! Get connected! Visit YUMMY.ph, tweet and update facebook at computer terminals at the event. Complete your Yummy collection! Back issues of the magazine and books will be available for you to purchase. Be a true Yummy fan! Show some Yummy love and pick up our merchandise-buy aprons, buttons, pins and a limited-edition Yummy bag from Envirosax. Freebies! Our friends from Fruits in Ice Cream will be giving a free scoop upon entry. Be a winner! Admission entitles you to a raffle coupon that could win you delicious goodies, gift checks and merchandise! So stay as long as you can. And here are the winners of our previous YUMMY EATS contest, where you can win FREE invites to YUMMY EATS, the following people will go to YUMMY Eats for FREE. Thank you YUMMY and The Food Alphabet. Congrats to the winners!! Please go to the event itself and proceed to the registration counter to confirm your your name on the guest list under The Food Alphabet, please do bring along with you an I.D. for identification. If you want to bring with you your friends and relatives, just bring a copy of YUMMY magazine May 2011 issue, and pay only P100 instead of the P150 entrance fee. SEE YOU THEN!!! 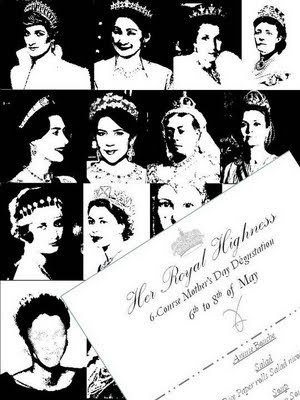 Scroll down to find out more of what is to come this May 21, 2011. It was one evening where disappointments came, and I was quite down, so we decided to have dinner out instead of spending it a home, we were in the neighborhood of Tomas Morato, and luckily we found Army Navy and OH YES! We made the right decision. Army Navy had a very cozy set-up, the seats were like you're being in military barracks and food is being served by the kitchen officers, but in this case you are the boss. Good thing now I'm hungry. Ok let's start the ball rolling, I'll start with very special mention..... I LOVE THEIR LIBERTEA!!!!! Well you maybe wondering what that is, well its their very own freshly brewed iced tea! Nice catch name if you ask me. I can finish a liter of Libertea in a sip, really that's how much I loved it! And with such a friendly price of only P45 for a regular one and P55 for a large one. I finished 2 large Liberteas, just in case you may want to know. The Onion Rings (P60.00) crispy coated fried onions and Freedom fries (P60.00) seasoned thin-cut potato fries, perfect for my 2 large Liberteas. Zesty and delicious, crispy and always my favorite kick-offs to a delicious meal. Wifey stops me from getting these, but what can you do when they look ohh so delicious. The Double Burger, (P185) two quarter-pound beef patties with crispy lettuce, tomato slice and onions mayo and ketchup, make up all I want in my burger, hot fresh and oh so beefy, mix it up with additional toppings such as cheese, bacon, jalapeno or sauteed onions for an additional 15-25 bucks, makes it all worth it. My favorite food amongst all of their offerings FEARLESS Fried Chicken P135.00 for 2 pieces of flavorful crispy chicken quarter drumstick-thigh, served with rice and pepper gravy, you know I'm a sucker for chicken, but this one is different, though it may look the same as other fast food chains out there, but the taste and juiciness of the meat is just so enticing, I could eat here everyday. The pepper gravy made it even better, they cook the chicken only upon order so its hot when they serve it to you and I guess that makes the difference, freshly fried, hot and delicious FEARLESS Fried Chicken. And as the signage says.... Misson Accomplished! I'm full and I'm Happy. Thanks Army Navy. Oh and they got some a cool promo, come on Taco Tuesdays, Get a FREE Regular LIBERTEA with every taco order. So head over to your nearest Army Navy joint, and order away. 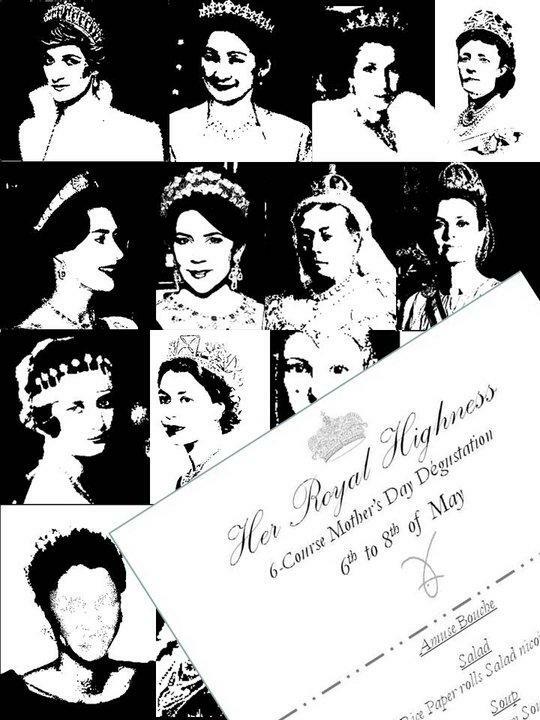 So go ahead and satisfy her queenly gastronomic desires as she so deserves! Summit Media, the country's leading magazine and Yummy Magazine, the country's best food magazine proudly brings to us the first ever YUMMY EATS - A cooking and eating fair happening on May 21, 2011 at the NBC Tent at the Fort. Featuring only the best and YUMMY-certified foods and treats to give us that most delectable experience. 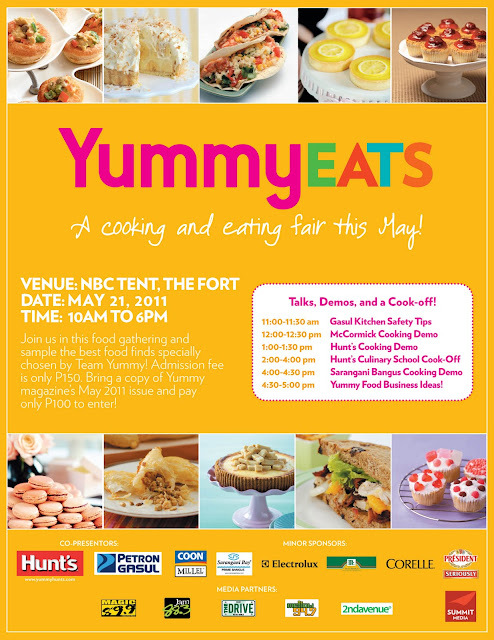 Entrance to the event is P150.00, but if you bring your May 2011 Yummy Magazine to the venue, you need only pay P100.00 Wow! what a treat right? Now, what if I tell you I can get you in for FREE!! Yummy Magazine loves The Food Alphabet and its readers so... we are giving away 5 (five) tickets to YUMMY EATS to five of our lucky readers, trust me these free tickets are hard to come by, so grab the chance to win these tickets. Share this post on FB, click on the share button on top of this post, On the blank box tag "The Food Alphabet" and post "I will go to YUMMY Eats for FREE, Thanks to @The Food Alphabet!”. One entry per person only. Tickets shall be claimed at the NBC Tent on May 21, 2011. Deadline for joining is May 16, 2011. The winners will be announced via a raffle a few days before May 21. Good luck everyone. See you at YUMMY Eats and be well. It's that time of the year again, and let us show our love to the greatest woman of our lives, our mother, for without her tender loving care, her undying patience and unconditional love, who knows what we may have become. Thank you MoM! “Reyes Barbecue is a family-oriented restaurant, and Moms are the family’s backbone, caring for the family throughout the year. We are happy to honor and give a treat to all moms on their special day, and starting this year, Reyes Barbecue will make it a tradition to have better and better treats for all Moms on Mother’s Day,” says Founder-CEO Frank Reyes. Celebrate with lola, mom, tita, ate, ninang, cousins and best friend, to selected Reyes Barbecue stores and check out our various group meal combos for your great family barbecue meal like this group menu - 1 Boneless Chicken Barbecue Meal , 1 Grilled Bangus Belly Meal, 1 Two Pc Pork Barbecue Meal, 1 Grilled Pusit Meal, 1 Bilao of Pansit Canton (or Spaghetti or Garlic Sotanghon), 2 Pitchers of Nestea – all for around P1,055 – and complete this great group meal with a FREE Banana Caramel ala Mode for ALL moms in the group! Happy Mother's Day to all our moms!! Available at the following Reyes Barbecue stores : SM Mall of Asia, SM Bicutan, SM Las Pinas, SM Marikina, SM Supercenter Pasig, SM City Bacoor, SM City Marilao, SM City Baliwag, SM City Pampanga, SM City Clark, SM City Tarlac, SM City Lucena, SM City Naga, Robinsons Galleria, NuvaliSta Rosa, UP TechnoHub, Pavilion Mall Laguna, Venice Piazza McKinley Hill The Fort, Waltermart Makati, Shangri La Plaza Mall, Cash & Carry Mall, 168 Mall, and Divisoria Mall. Mercato Centrale... my favorite weekend market habit has found a new home, and they are now located just beside MC Home Depot at The Fort. It is bigger and better!! More concessionaires, more food finds and best of all more seats to have your friends together to chat over snacks or lunch. I know you're all excited as to what food finds we got but first the market. 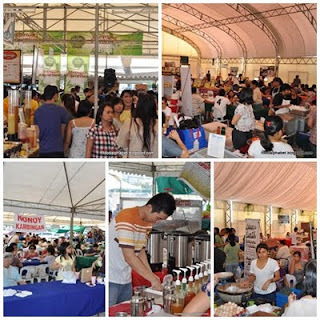 Now just look how Mercato Centrale evolved into a bigger, and better place for that weekend morning market habit. As I have said, more stalls, more concessionaires, more food finds and more seats to enjoy good food with friends. 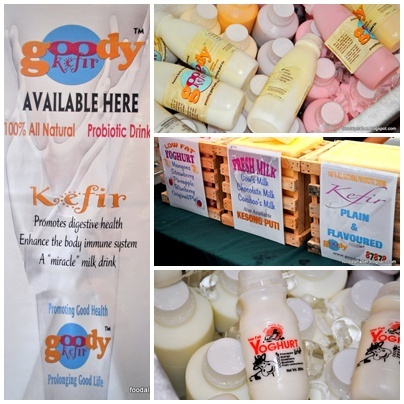 Goody Kefir 100% all natural Probiotic Drink! A great way to cool off this summer, creamy and nutritious drinks. 1.) Smokehouse sandwiches - price range at around P200 up. Cooked slow and low... definitely worth the wait, the juices coming out as you slice the Angus beef slab sends a sweet smell of beefy goodness, even a vegetarian will be tempted. 3.) Bale Datung - Pan de Bagnet (P140) Italian porchetta with the Ilocano cracklin' bagnet served in crusty classic ciabatta, flavored with CLAUDE'9 Inasal marinade topped with a burst of kamatis, bagoong, dilis, and onions with sukang Iloko vinaigrette, wow can't imagine how a burst of flavors so intense can taste so good. Be prepared to fall in line as they are one of the best sellers in Mercato Centrale.